Wall thickness measurements of the carotid arteries using MRI improves cardiovascular disease risk assessment. Researchers measured carotid artery wall thickness in 698 men and women with no known history of cardiovascular disease. Vessel wall MRI is a noninvasive technique that can image the entire carotid wall circumference. OAK BROOK, Ill. —MRI measurements of wall thickness in the carotid arteries improve cardiovascular disease risk assessment, according to a new study appearing in the journal Radiology. The carotid arteries are the two major arteries on either side of the neck that carry blood into the head and brain. Like the coronary arteries, they can become narrowed with plaque buildup, a process known as atherosclerosis. Research has shown that plaque buildup in the carotid arteries often mirrors that in the coronary arteries, but the carotids are more easily imaged, making them potentially useful vessels for the assessment of the risk of strokes, heart attacks and other adverse cardiovascular events. "The carotid artery serves as window into the cardiovascular system," said study lead author Bruce A. Wasserman, M.D., from Johns Hopkins University School of Medicine in Baltimore. "Plaque developing in the carotid artery can contribute directly to a stroke, and its features—which determine its vulnerability to rupture—are closely related to those found in coronary artery plaque in the same patients." The ultrasound-based carotid intima-media thickness (IMT) test is the most widely used imaging method to assess the level of early-stage carotid atherosclerosis. However, research suggests that IMT offers only minor improvement in cardiovascular disease risk prediction when added to the Framingham risk score, a commonly used measure that takes into account factors like cholesterol, smoking and family history. Vessel wall MRI is a promising, noninvasive technique that can image the entire carotid wall circumference, in contrast to ultrasound measurements of IMT that are usually based solely on views of the artery's far wall. MRI can also see all three layers of the artery, including the adventitia, the outermost layer not visible on IMT. 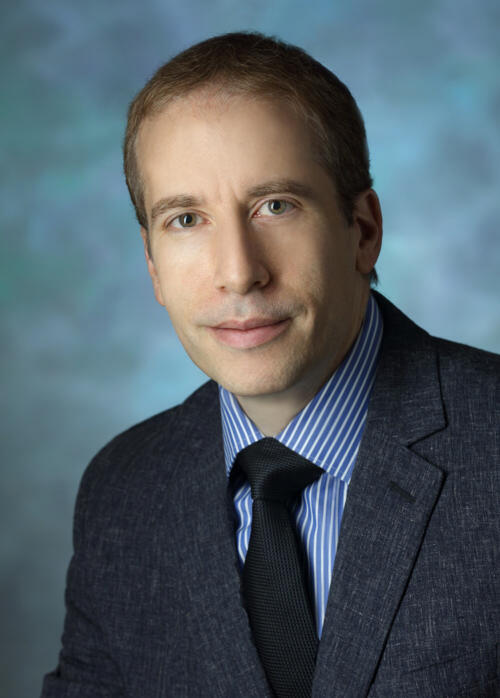 "High-resolution MRI can tell us the stage of plaque in the wall and tell us about plaque features that could lead to stroke," Dr. Wasserman said. "It can also see the adventitia, a vessel layer that may have an important role in cardiovascular risk because small vessels proliferate there, leading to thickening of the artery, which may be responsible for early disease development and progression." From July 2000 to December 2013, the researchers enrolled 698 men and women from the Multi-Ethnic Study of Atherosclerosis (MESA), a major, long-running project involving six major research centers around the U.S. Study participants ranged in age from 45 to 84 years old with a mean age of 63 at first visit and no known history of cardiovascular disease. The participants underwent ultrasound and MRI between 2000 and 2004 to compare carotid artery wall thickness. During subsequent follow-up, the researchers looked for any correlation between carotid artery wall thickness measurements and coronary heart disease and stroke. "What we saw was surprising," Dr. Wasserman said. "MRI measures of carotid artery wall thickness were more consistently associated with cardiovascular events than was intima-media thickness using ultrasound. This tells us that perhaps MRI could be a better predictor of cardiovascular events, especially stroke." The association between wall thickness and cardiovascular events was stronger with both non-contrast and contrast-enhanced MRI than it was for IMT. Dr. Wasserman cautioned that more research is needed to define how much MRI can add to the predictive models currently in use. MRI is expensive and would be impractical as a stand-alone measure of cardiovascular risk, but it could have a role in providing critical supplementary information for some patients. "We've come a long way with MRI techniques and their ability to discriminate the carotid artery wall and assess adventitia thickness," he said. "Ultrasound has also improved, and we want to be able study cardiovascular risk and carotid artery thickness using these contemporary techniques." Further studies are planned with the newer technology and in larger population groups.